If you didn’t get the code, tap Didn’t receive code to try again. We won’t share your number with anyone else on OfferUp. Keep using OfferUp messaging to communicate with buyers and sellers without sharing personal information. 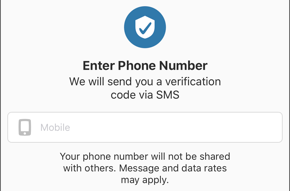 Verifying your phone number won’t let you make calls through the OfferUp app. OfferUp will never ask you to provide account information in a chat or over the phone. 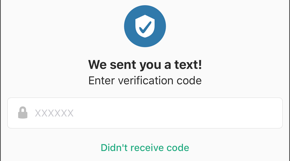 Other than the initial confirmation message, OfferUp won’t use your number to call or text you at this time.